A playbook for how Indian policymakers can return the country to a path of high and sustained economic growth. India has fallen far and fast from the runaway growth rates it enjoyed in the first decade of the twenty-first century. In order to reverse this trend, New Delhi must seriously reflect on its policy choices across a wide range of issue areas. Getting India Back on Track broadly coincides with the 2014 Indian elections to spur a public debate about the program that the next government should pursue in order to return the country to a path of high growth. It convenes some of India’s most accomplished analysts to recommend policies in every major sector of the Indian economy. 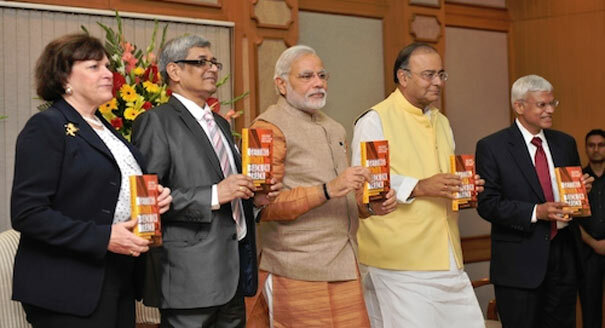 Taken together, these seventeen focused and concise memoranda offer policymakers and the general public alike a clear blueprint for India’s future. Bibek Debroy is a professor at the Center for Policy Research in New Delhi. He has worked in academia, industry chambers, and government, including in leadership positions in the Legal Adjustments and Reforms for Globalizing the Economy project and the Commission on Legal Empowerment of the Poor. Debroy is the author of several books, papers, and articles. He holds degrees from Presidency College in Calcutta, the Delhi School of Economics, and Trinity College in Cambridge. Ashley J. Tellis is a senior associate at the Carnegie Endowment for International Peace specializing in international security, defense, and Asian strategic issues. While on assignment to the U.S. Department of State as senior adviser to the undersecretary of state for political affairs, he was intimately involved in negotiating the civil nuclear agreement with India. Previously, he was commissioned into the Foreign Service and served as senior adviser to the ambassador at the U.S. embassy in New Delhi. He also served on the National Security Council staff as special assistant to the president and senior director for strategic planning and Southwest Asia. Reece Trevor is a research assistant in the South Asia Program at the Carnegie Endowment for International Peace, where he previously served as a junior fellow focusing on South Asian security and U.S. grand strategy. He completed his bachelor’s degree with honors at the University of Chicago. 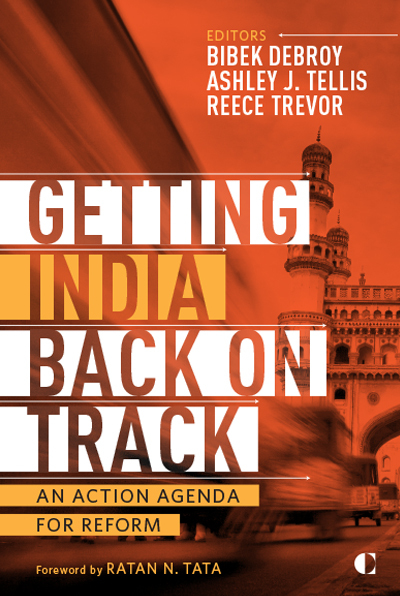 India Back on Track: An Agenda for Reform is a series that is produced as a partnership between the Think India Foundation and the Carnegie Endowment for International Peace.